Strictly limited print run of 2015 copies worldwide. In the spring of 1975, the first Porsche 911 Turbo took pride of place in the showrooms of the Porsche dealerships. Not quite 40 years later, the car that changed the world has become a legend. “40” – Porsche 911 Turbo – Aircooled Years” tells the story of this iconic sports car, starting with the prototype first unveiled at the IAA 1973 and culminating with the last air-cooled 993 Turbo released in model year 1998. With the introduction of turbocharging into the series production of sports cars the young Porsche company provided ample proof of its courage and innovative daring. The extraordinary success of the 911 Turbo contributed to the legendary reputation of the sports car brand. 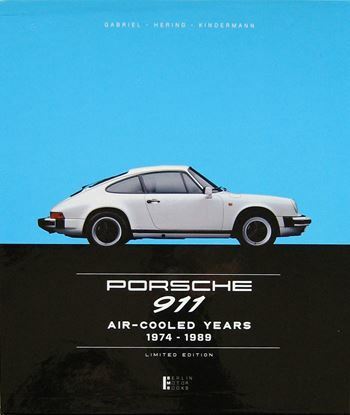 In addition to the series-production vehicles, the book deals in detail with special series, such as the ten 930 Turbo S vehicles produced for Sonauto, the 964 Turbo Cabriolet, the 993 Turbo Cabriolet and the 911 Turbo “package cars” from 1994, whose existence is known only to a few even today. 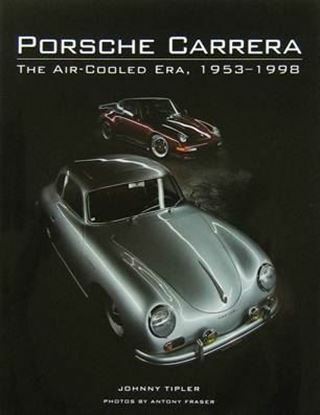 The book was written in close collaboration with the historical archive of Porsche AG and shows previously unpublished photographs of Porsche 911 Turbo Nr.1, which was driven by the daughter of Ferdinand Porsche, Louise Piech. Internationally recognized Porsche expert Norbert Franz has created a detailed statistics section. For instance, it is now possible for the first time to publish the exact quantities of all the 911 Turbos ever produced, and, furthermore, all the chassis numbers of the original performance-enhanced vehicles (911 Turbo WLS) are documented for the very first time.